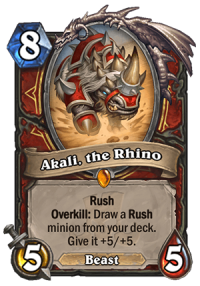 The upcoming Hearthstone expansion, Rastakhan’s Rumble, is going to feature a new keyword – Overkill. 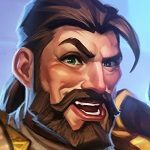 The keyword tries to capture the gladiator / arena flavor of this expansion – it’s not only about dealing with your opponent, but also about showing off and hitting as hard as possible. 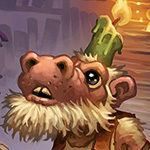 In this guide, we’ll gather all the information about new keyword, and all the new cards featuring it. 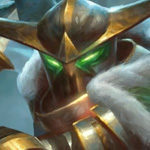 We’ll update it as we learn more and new cards are revealed. 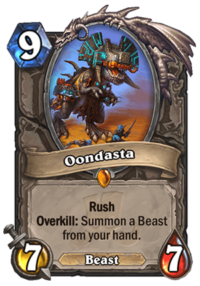 Overkill is a new Hearthstone mechanic from Rastakhan’s Rumble. It works really simply – it activates when you kill a minion by dealing EXCESS damage. 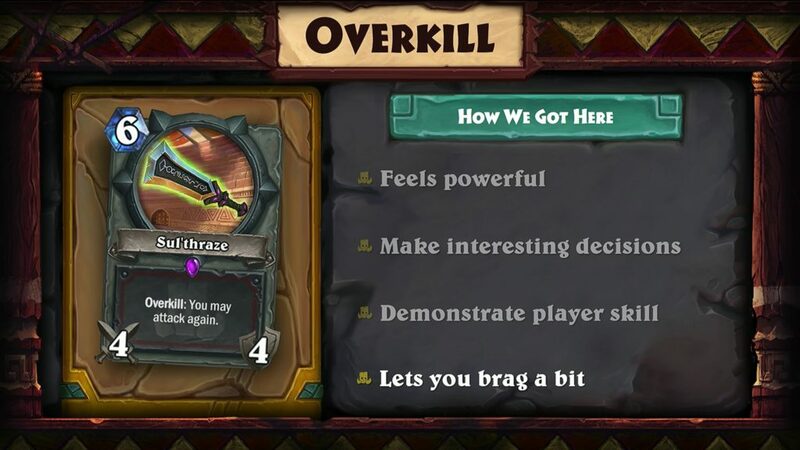 Depending on the card, triggering Overkill can give you a variety of bonus effects. You need at least 1 point of excess damage to trigger Overkill effects. 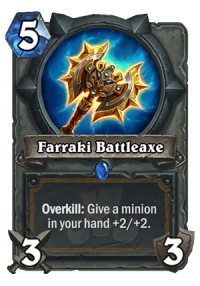 If you have a 4 attack weapon with Overkill, you need to kill a 3 or less health minion with it in order for the effect to work. Overkill works only during your turn. If there’s a minion with Overkill and opponent trades into it on his turn, the Overkill won’t trigger even if the above condition is met. It means that order is very important when it comes to Overkill cards. For example, remember to trade your other minions / cast your other spells first and THEN finish your target with an Overkill card to get your effect. 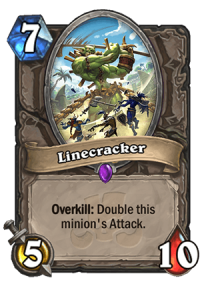 While we don’t have any AoE Overkill cards, it was confirmed that if there was one, it would trigger for every Overkilled minion, not just once. You do not NEED to trigger the Overkill effect. You can still e.g. 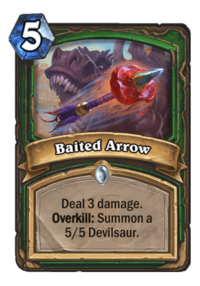 clear a 3 health minion with Baited Arrow if that’s your best play, Overkill cards are just much less efficient if you’re not triggering it. 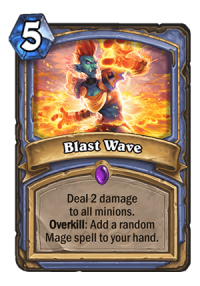 Overkill cards also greatly benefit from buffs (weapons/minions) and Spell Damage (spells) – it’s much easier to trigger the Overkill effect when you’re dealing more damage. 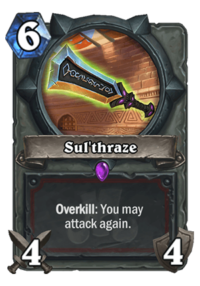 Each Overkill card will have a different effect, not every weapon will let you attack again like Sul'thraze, for example. 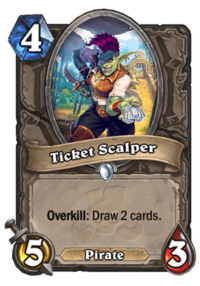 It’s yet to be revealed whether there will be Overkill cards with negative effects (e.g. powerful cards that have a downside if you Overkill a minion with them). 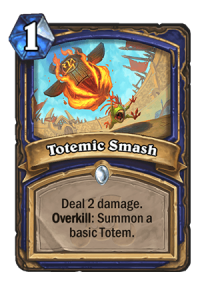 No one is going to use Shaman due to 0/2 totems being very good activators for overkill. So does the overkill on a minion trigger if he on the field when excess damage is dealt or does it trigger when cast after you deal the excess damage? Maybe I’m not reading it right. Let’s hope the effect will not be “just fair” and understated as it was the case with The Witchwood “rush” minions and mechs of The Boomsday Project. 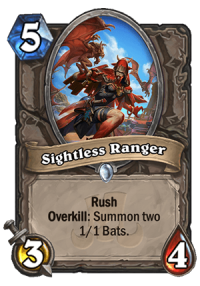 If “overkill” cards are less efficient without triggering the effect, then they should be more than efficient when triggering it. We’ve already had “Overkill” effects before, and they were normally underwhelming. Baited Arrow is powercreep on Bane of Doom, for example. WANTED! 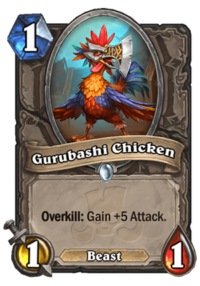 is another example, and it’s a bad card. Hopefully they get it right this time. 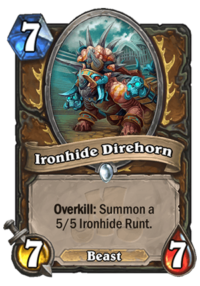 The Warrior weapon looks powerful if Aggro/Tempo Warrior becomes a thing, and in Arena it looks very strong.